Students must be nominated by their school. Enrollment may be limited to one student per district and may be selected per lottery by district should the number of applicants exceed the number of spots available. Students do not need to be “A” students to attend SEMI High Tech U – they just need to be curious and interested in the focus of the camp. High School camps are free. Middle School Camp Innov@tion has a cost which is noted below. Tech Valley High School invites current 6th and 7th grade students to apply for a week-long summer camp that replicates its unique Project-Based Learning model. Over the course of the week, students will engage in innovative collaborative projects around a real-world problem faced by one of our business partners. Students will work in groups to create solutions and present them on the last day of camp. The daily program is based out of Tech Valley High School and will include off-site fieldwork opportunities for students as they explore innovation in our region. The Technology Week focuses on emerging technologies in the area and the Biomedical Week explores topics related to health sciences. 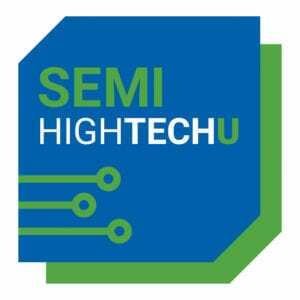 Spend five days at different Tech Valley businesses, engaged in fun and exciting, hands-on activities alongside professionals in nanotechnology, biotechnology, advanced materials, alternative energy, information technology, aviation technology, and multidisciplinary engineering. Sites include the College of Nanoscale Science and Engineering, RPI, the Albany Airport, the Cancer Research Center, and many more exciting locations! For students entering grade 9 in the fall. A mandatory Parent/Student Information Night will be held on Tuesday, July 2, 2019, from 6:30 to 7:30 pm at the Massry Center at School of Public Health University at Albany, 1 Discovery Drive, Rensselaer, NY 12144. Campers take an action-packed, three-day journey exploring exciting, high-tech careers. They go boldly ahead while making new friends in totally fun, hands-on sessions taught by the region’s top high-tech professionals. They visit the Center for Nanoscale Science & Engineering at U-Albany, Rensselaer Polytechnic Institute, National Grid, and Golub Corporate Headquarters and learn about the many educational opportunities available in the region. 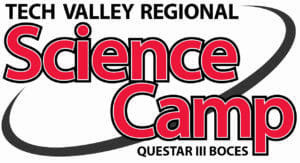 Campers will meet each day at Capital Region BOCES Career and Technical School located on Career Path in Colonie, off of Watervliet-Shaker Road just east of New Karner Road. Transportation from the Technical School to various meeting locations will be provided. Campers should plan on arriving no later than 8:30 each day unless directed otherwise. Campers will be Dismissed at 4:30 on Days I and II from the BOCES Career and Technical School. Campers will be dismissed from SUNY Poly CNSE campus on Day III at 3:30 following graduation ceremony and reception. For students entering grades 9-11 in the fall. A mandatory Parent/Student Information Night will be held on Monday, July 29, 2019, from 6:30 to 7:30 pm at the Capital Region Technical School, 1015 Watervliet-Shaker Rd. Albany, NY 122055. Nuts, Bolts, & Thingamajigs – Foundation for the Fabricators & Manufacturers Association, Intl. CTE students at SkillsUSA: champions at work!